For me, going to the hair salon on a Sunday is a privilege. Other than a morning or afternoon jog, my calendar stays clear and I consider the day to be my day of rest. 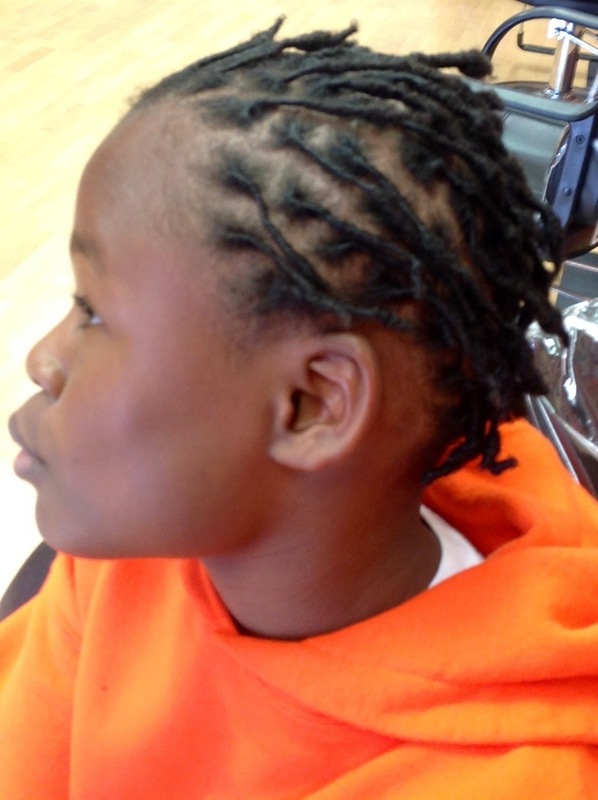 That said, today was the second time that I took my son to the salon (KinHairitage) for his loc maintenance on a Sunday. His last appointment was at 10 a.m. and he was super unhappy about having to get up early on “his” day to sleep late. The nerve of him! Like he works a job or somethin’. These kids are a trip. I really do understand the wish to sleep late, but come on, he’s got a good behind life… He can nap anytime he’s home. Lol! Anyway, today’s appointment was at 2 p.m. – he was cool with the pm appointment. 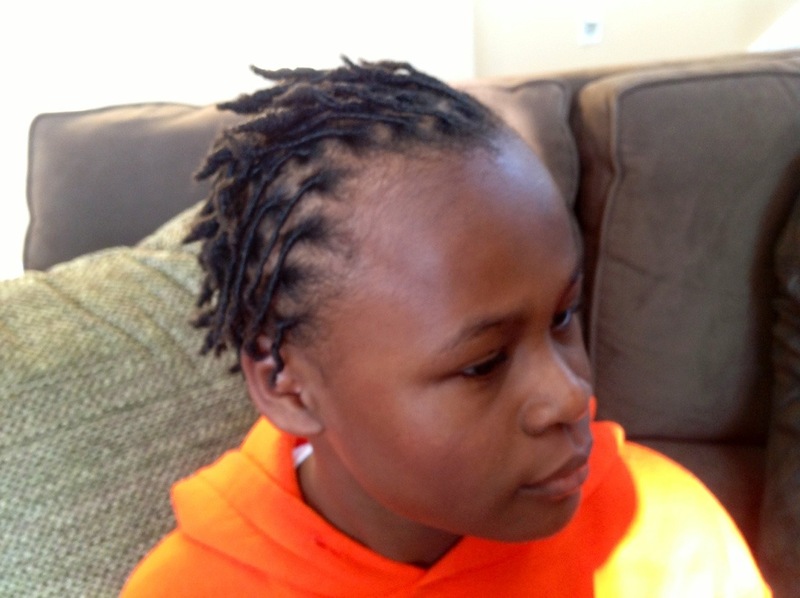 Three months have passed since his baby locs were started and his hair is progressing nicely. What am I most surprised at? He remembers to wear his stocking cap at night. Even on the weekends when he goes to bed later, he still remembers to cover his hair at 12 midnight. Thank goodness!! Although Tailor still tells me that he loves his hair, his actions corroborate his declaration, which pleases this mom BIG time. Here are a few photos. 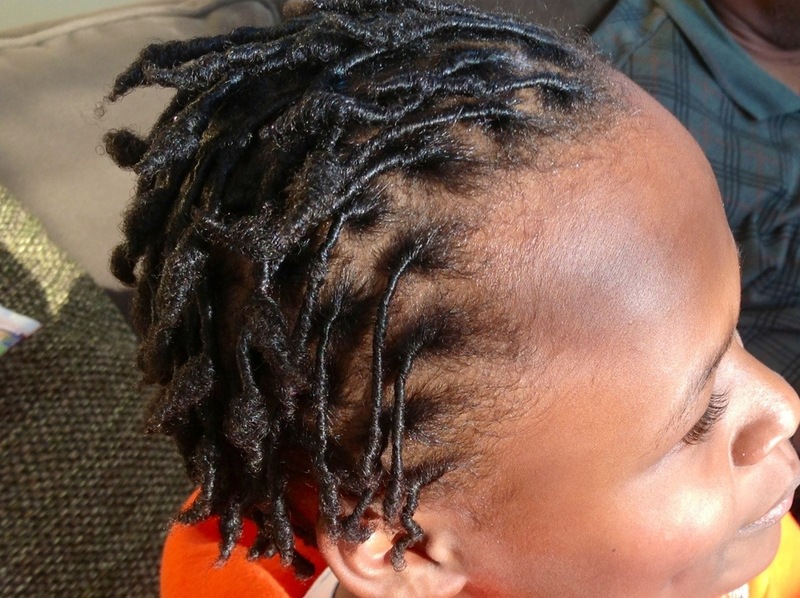 Oh, one last thought— already I’ve had an interesting chat with someone whose child is growing locs. She pays substantially less for his maintenance than I (and wanted me to know) and feels good about her choice. However, he “doesn’t get his hair washed. You’re not supposed to wash the hair when locing !” Sigh!! Already the debating has begun, but I’m cool with it. I won’t judge her and feel as confident about my choice for my son’s maintenance routine. 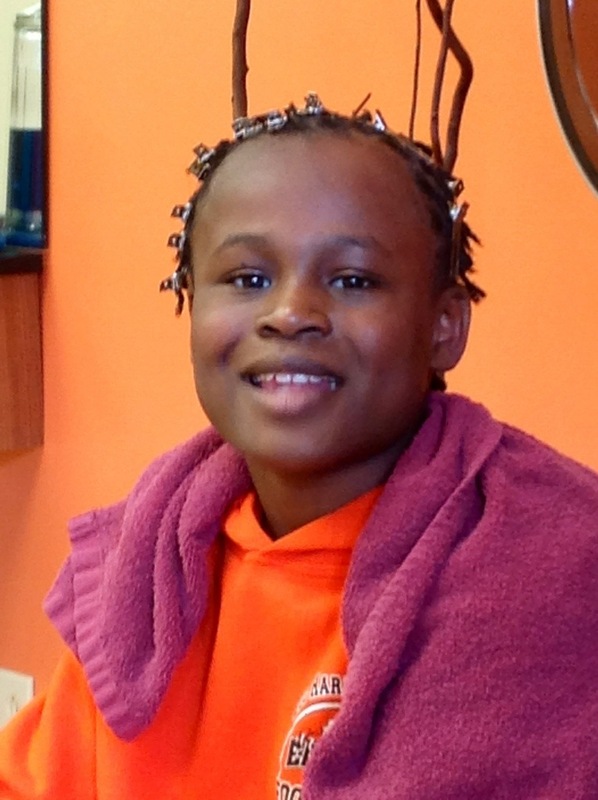 Washing of the hair is a natural process to maintaining any healthy style. If it is dirty and it smells, that cannot be healthy. I’m just sayin’. I will only say that, conjectures and myths exist in every cultural, race, and religion. The key is always to educate oneself on whatever it is you choose to get involved in. Check out my baby, he’s so handsome! 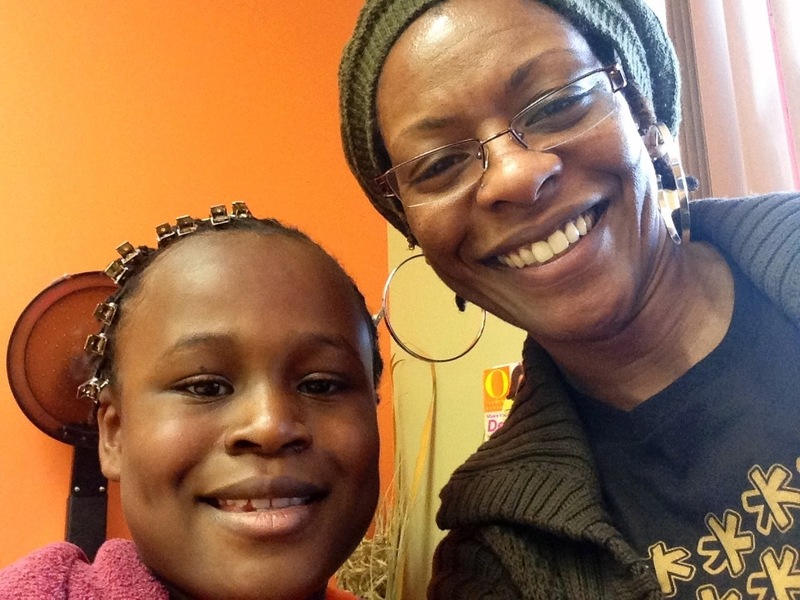 This entry was posted in Family Living, Hair Natural and tagged baby locs, Beauty, dread locs, dreads, Hair care, loc maintenance, locs, natural hair, style. Bookmark the permalink.